The northeast of Mallorca has seen some exciting changes in 2016. In this often overlooked corner of the island, hotel projects company Grupo Cap Vermell has built the new Park Hyatt Mallorca hotel, opened June 2016. 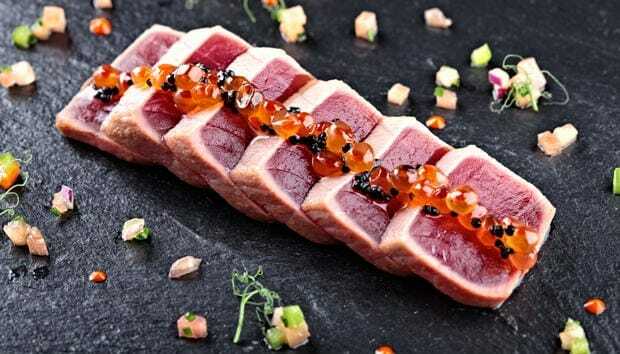 Guests at the luxurious 5-star-plus hotel – in the style of a Mallorcan hilltop village, and overlooking Canyamel – enjoy top-notch facilities, including outdoor swimming pools and spa, and the proximity of four superb golf courses. The same group owns the Cap Vermell Beach Hotel & Restaurant ‘Vintage 1934’, located on the side of Canyamel’s lovely bay. 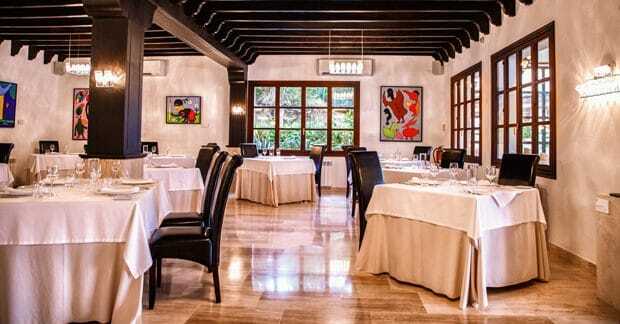 It’s a charming property, built originally as a cottage in 1906, which became a place to eat for visitors to the nearby Caves of Artà (just around the corner) and, in 1951, opened as Hostal Cuevas. 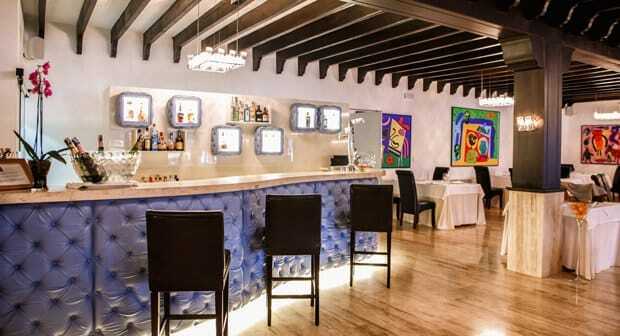 Today the totally renovated 11-room hotel is light, bright and contemporary. The striking colourful art of the Spanish artist Gustavo – who lives in the area – surprises at every turn. (Check out the light fittings in the Sala Gustavo too, for a novel use of drinking glasses). 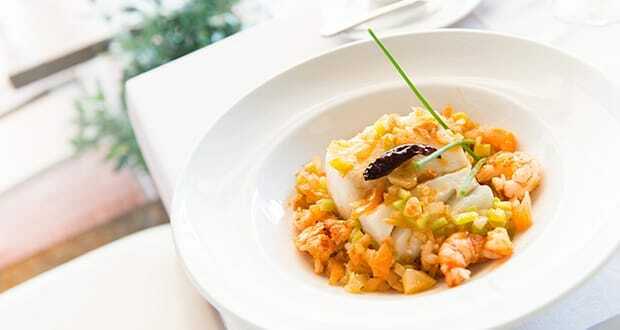 And ‘Vintage 1934’, the restaurant, has gained a good reputation, particularly for its fresh lobster and seafood dishes. It’s open all year (closed on Mondays in the winter) – a bonus in an area where many places close outside the holiday season. We could have enjoyed a pre-dinner drink on the chill-out terrace, but instead had a glass of Moët & Chandon at our table. 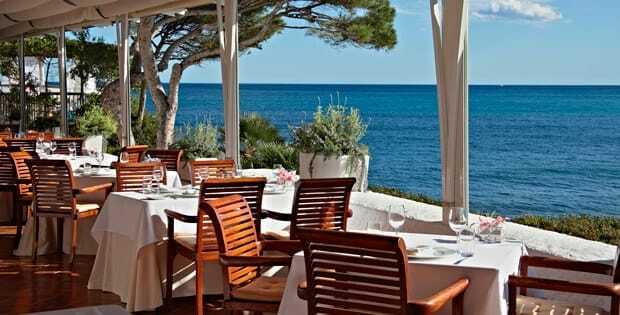 We sat on the restaurant’s large shaded terrace, enjoying captivating views, discreet chill-out music, and the sound of the Mediterranean lapping on the shore below us. It being a warm evening, we welcomed the cold damp towels offered, with which to freshen ourselves. ‘Vintage 1934’ offers a four-course tasting menu (changing around every couple of weeks), and a seasonal à la carte menu. 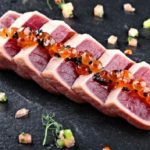 Our choice was preceded by an appetiser of tuna tataki with wakame salad and mango purée – a promising introduction to the cuisine. The tasting menu starter was a refreshing mango gazpacho with red prawns from Cala Rajada, followed by sea bass cooked at a low temperature and served on perfectly cooked venere rice, with leek foam. 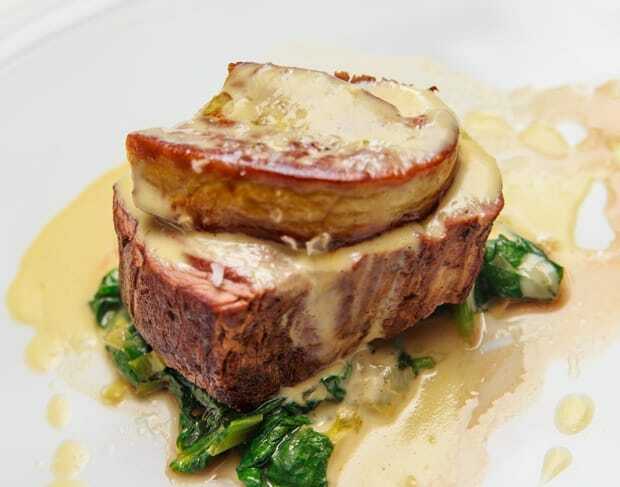 We then had beef fillet with foie, spinach and a Gorgonzola sauce – quite a rich but delicious dish, sure to be enjoyed by meat-lovers. We finished with Catalan cream foam with fig jam and vanilla – ending a most enjoyable and attractively presented dinner. 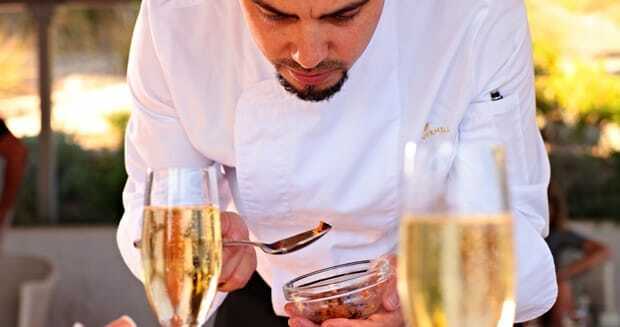 Following Manu Pereira’s move this spring to the Park Hyatt Mallorca, his former sous chef Fernando Palomino has taken over the kitchen at ‘Vintage 1934’. 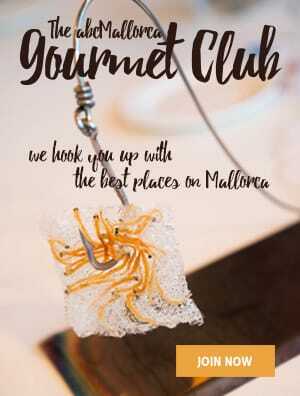 There are some notable specialities at this restaurant – one of which is their lobster with fried eggs and potatoes (100 euros, for two people). If you expect to find a typical glass lobster tank in the corner, from which to make your choice, you’re in for a surprise. We’ll let you discover what it is for yourself, but will say that it was impressive. And sweet-toothed diners shouldn’t miss the opportunity to try one of the desserts by Oriol Balaguer, who collaborates with ‘Vintage 1934’. 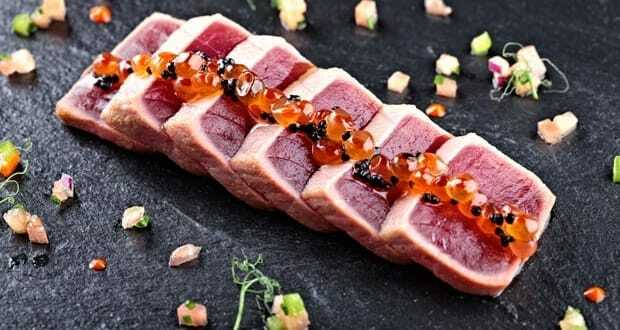 The inventive chef has worked for the best confectioners in Belgium and Spain and was part of Ferran Adrià’s team for seven years. His many awards include that of Spain’s ‘Best Confectioner/Pastry Chef’ (2008). The diet begins tomorrow . . .
Front-of-house at ‘Vintage 1934’ is led by the smart maître d’ Tomeu Llull, who chooses the Mallorcan, Spanish, French and Italian wines that go onto the list. Our servers were pleasant and efficiently explained each dish presented to us. The service seemed a little slow at times, but that could have been our fault. It certainly didn’t detract from our dining experience. 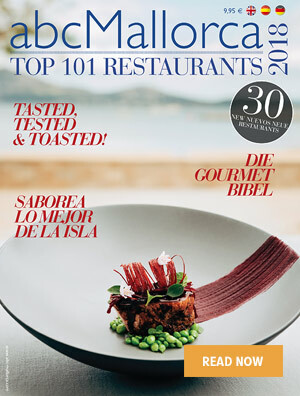 We hope you have found this article about the Restaurant Vintage 1934 useful and that you have many memorable stays in Mallorca as a result of our recommendations.